Since 2008, Liam Neeson’s played 8″badass” roles in movies – not counting his ghostly appreance as Ra’s Al Guhl in The Dark Knight Rises. He’s back playing another badass. This time he’s U.S Marshall Bill Marks in the action thriller, Non-Stop. I know, cheesy name, cheesy premise, and even cheesier special effects in the trailer. What else do you need besides Liam Neeson, a phone, and a gun to make an action film work? Will the appeal of Liam Neeson roughing up passengers on a plane be enough to sustain this movie? Maybe. The film also stars Julianne Moore, Lupita Nyong’o (12 Years a Slave), Scott McNairy, and Nate Parker. It’s even directed by Juame Collet-Serra who directed Neeson in 2011’s Uknown. 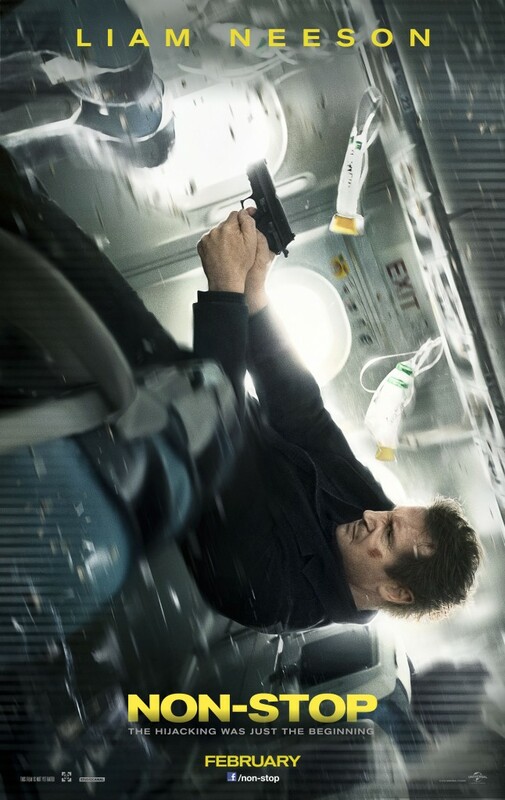 I do enjoy Neeson, who’s on a plane that has a hole in it and is falling out of the sky, being able to grab a gun out of mid air and fire it (2:12 mark in the trailer). Posted in Uncategorized and tagged 12 years a slave, action, Julianne Moore, Liam Neeson, Lupita Nyong, Lupita Nyong'o, Nate Parker, Non Stop, taken, thriller, trailer. Bookmark the permalink.